Anglers fishing for lake trout in the waters of Grand Traverse Bay this year need to be aware of a new regulation now in effect. At yesterday's meeting of the Michigan Natural Resources Commission in Lansing, the commission acted to reduce the daily possession limit of lake trout in these waters from two fish to one. An accompanying photo is available below for download. Caption information follows. 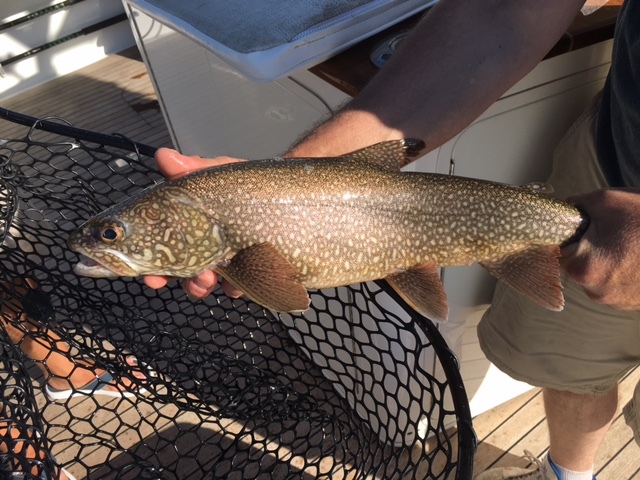 Lake trout.jpg: Lake trout anglers in the waters of Grand Traverse Bay have a new daily possession limit (one fish instead of two), in effect starting April 12, 2019.